What’s in store for the finale of Shadowhunters? Freeform just released new details for the TV show’s season three return. Currently in its third and final season, Shadowhunters centers on Clary Fray (Katherine McNamara), a young woman who learns she is descends from a long line of demon hunters on her 18th birthday. The cast also includes Dominic Sherwood, Alberto Rosende, Emeraude Toubia, Matthew Daddario, Isaiah Mustafa, Alisha Wainwright, and Harry Shum Jr. The third and final season of Shadowhunters returns to Freeform on February 25th at 8 p.m. ET/PT. Fan favorite series “Shadowhunters” returns with all new episodes on MONDAY, FEB. 25, at 8:00-9:01 p.m. EST/PST. In the emotional midseason premiere, everyone is dealing with the loss of Clary and are trying to move on best they can. Unbeknownst to them, the Shadowhunters face a new level of evil that they can’t even imagine with the arrival of Jonathan Morgenstern (Luke Baines), the true form of Clary’s brother. With the loss of Clary after Lilith’s apartment exploded, Alec, Isabelle and Jace try to come to terms with what has happened. Glad to have their brother back, Alec and Isabelle are still worried about Jace, who is taking the actions of The Owl very hard. 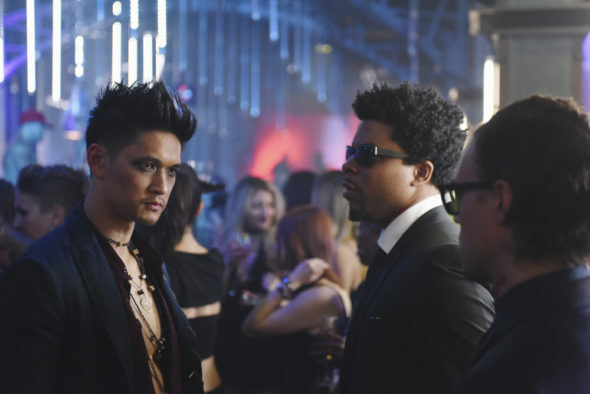 Magnus is also mourning the loss of his magic and finds himself in a new position – having to rely on others for help. Meanwhile, Maia tries to help a devastated Simon who has lost his family and his best friend. But unknown to everyone, Clary is alive and finds herself in a new and dangerous predicament. What do you think? Are you a fan of Shadowhunters? How do you want the series to end? I love the show. I want Clary and Jace to be together, Magnus get his powers back and for the show to end on a happy note. I really want it to continue on some network, or cable station. I have loved “Shadowhunters” since I saw the movie The Immortal City of Bones. Clary and Jace deserve to be together and Happy. Also, Magnus needs his powers back so he can defeat the Dark Ones and life can return to normal where all types get along. I love this series. I look forward to watching it each season. I read all of the books and loved them as well. I hope another network picks up this series. Fingers crossed. I love the show. I read the books but this takes it further and beyond. Wish I hadn’t loaned them out so I could have been refreshing some of the chapters in the interim. PS I ‘m 73 so maybe I am revisiting my childhood but I watched Vampire Diaries from the very start too. This show is so bad.